If we don’t do something now to curb climate change, scientists warn the planet faces disastrous consequences, from intensified storms and rising sea levels to the extinction of millions of species. And while not everyone can afford an electric car or solar panels, there is something we can all do: go vegan. The meat industry has a record of egregious water pollution. Because animals are so densely packed at today’s industrial farms, they produce more manure than can be absorbed by the land as fertilizer. In fact, animal excrement and other agricultural runoff from large-scale farms have polluted nearly one-third of rivers in the U.S. In many places, animals raised for food are depleting topsoil and destroying natural vegetation, including important habitats, at an alarming rate. This poses a serious problem for wildlife, including species already threatened or endangered. According to the Center for Biological Diversity, reducing meat consumption is one of the best ways to save endangered species. The amount of water both consumed directly by farmed animals and used to grow crops to feed them makes animal agriculture an incredibly thirsty industry. Animal agriculture uses a whopping 56 percent of the water in the U.S. In fact, just one hamburger requires 660 gallons of water to produce—the equivalent of two months’ worth of showers. Raising animals for food (including land for grazing and growing feed crops) now uses over one-third of Earth’s landmass, with animal agriculture culpable for nearly 91 percent of Amazon rainforest destruction, according to the World Bank. As far as we’re concerned, any fishing is overfishing. But a census of marine life completed in 2010 estimated that over 90 percent of large fish had vanished from the oceans, primarily because of overfishing. In addition, factory farms have created more than 500 nitrogen-flooded dead zones throughout the world’s oceans. Each year, thousands of wild animals, including bears, coyotes, and foxes, are killed because they’re considered a danger to livestock. In the U.S. alone, 2 million wild animals are killed each year. Climate change is easily one of the biggest issues threatening our very existence, and raising animals for food produces more greenhouse gas emissions than all the cars, planes, and other forms of transportation combined. In fact, going vegan immediately cuts your CO2 emissions in half! Clearly, leaving meat off our plates is one of the best things we can do for the planet. 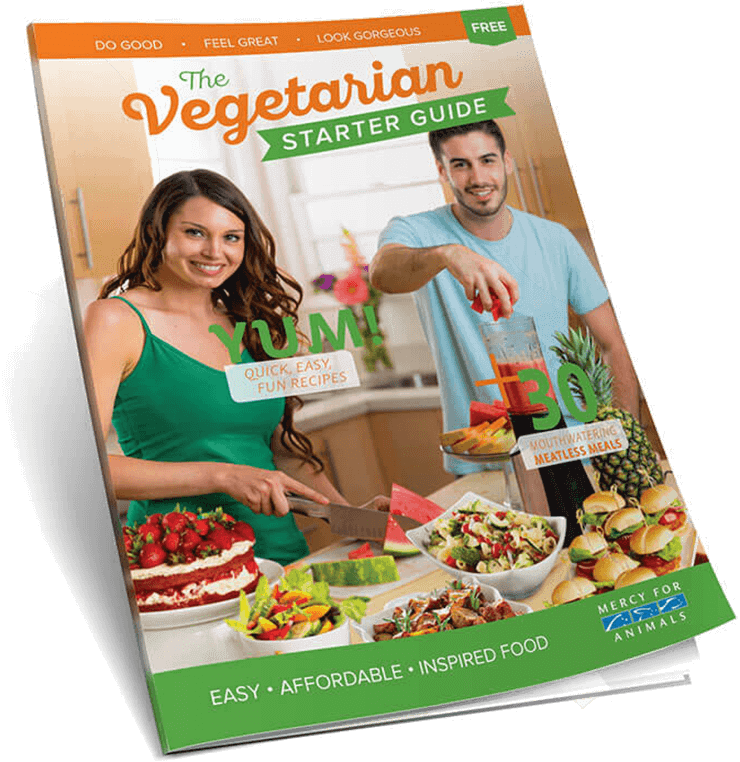 For more information on adopting a sustainable vegan diet, click here.